Congratulations Alexandra, Emily, and Megan — new Masters of Science! Alexandra Amidon (left), Emily Grimes (center), and Megan Snelling (right) have all successfully defended their Master’s theses this Spring 2017 are the three newest Masters from the Analytics Lab @ OU. 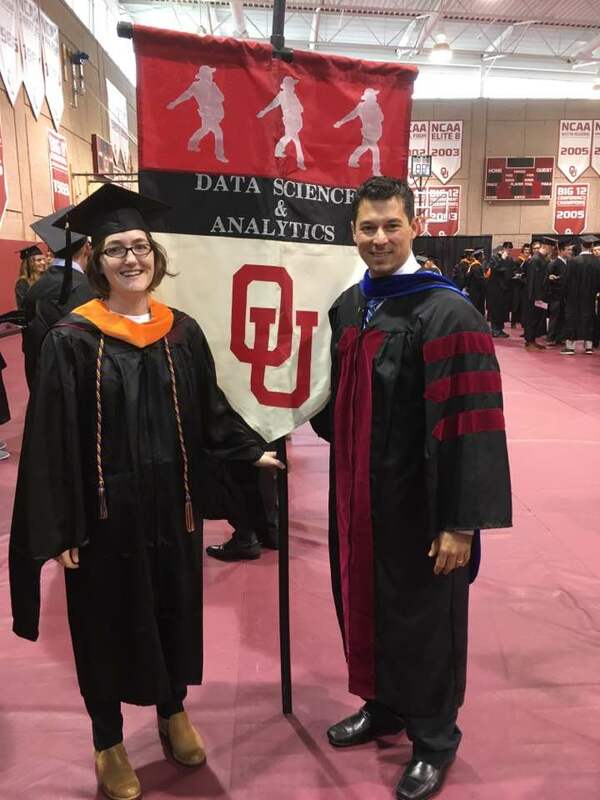 Alexandra and Emily completed their Masters of Science in Data Science and Analytics from the Gallogly College of Engineering. The DSA program is a joint effort between the School of Industrial & Systems Engineering and the School of Computer Science. Megan completed her Masters of Science from the School of Industrial & Systems Engineering. I’ll start with Megan since she is the lone ISE in this group of three. 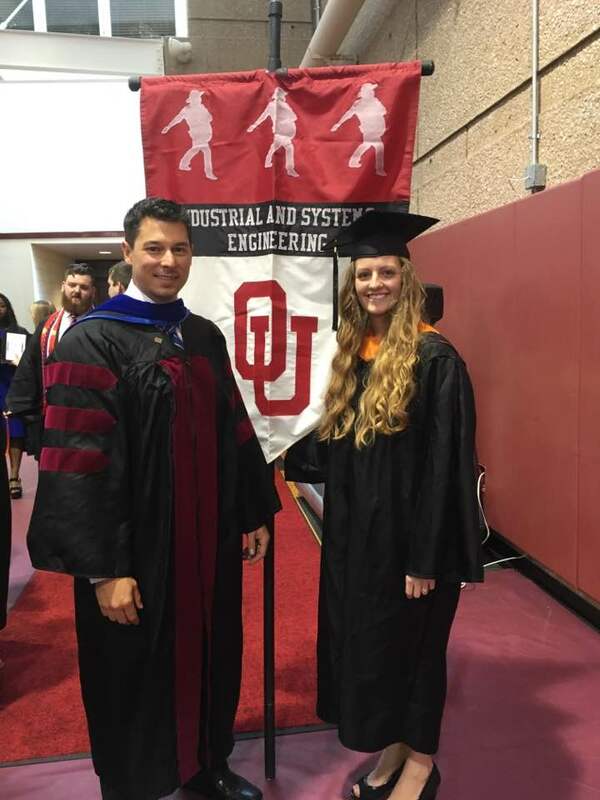 Megan’s work is entitled “MODEL FOR MITIGATING ECONOMIC AND SOCIAL DISASTER DAMAGE THROUGH STRUCTURAL REINFORCEMENT” and is a continuation of previous work completed as a part of the NIST-funded Center of Excellence on Risk-Based Community Resilience Planning and CORE Lab @ OU. Abstract: Natural disasters have both severe negative short-term consequences on community structures, inhabitants, and long-term impacts on economic growth. In response to the rising costs and magnitude of such disasters to communities, a characteristic of modern community development is the aspiration towards resilience. An effective and well-studied mitigation measure, structural interventions reduce the value lost in buildings in earthquake scenarios. Both structural loss and socioeconomic characteristics are indicators for whether a household will dislocate from their residence. Therefore, this social vulnerability can be mitigated by structural interventions and should be minimized as it is also indicator of indirect economic loss. This research presents a model for mitigating direct economic loss and population dislocation through decisions regarding the selection of community structures to retrofit to higher code levels. In particular, the model allows for detailed analysis of the tradeoffs between budget, direct economic loss, population dislocation, and the disparity of dislocation across socioeconomic classes given a heterogeneous residential and commercial structure set. The mathematical model is informed by extensive earthquake simulation and as well as recent dislocation modeling from the field of social science. The non-dominated sorting genetic algorithm II (NSGA-II) is adapted to solve to model, as the dislocation model component is non-linear. Use of the mitigation model is demonstrated through a case study using Centerville, a test bed community designed by a multidisciplinary team of experts. Details of the retrofit strategies are interpreted from the estimated Pareto front. We should also offer congratulations to Megan on another account she is getting married soon and plans to spend her Summer hiking through Europe! Alexandra and Emily both worked on project related to T.U.G. 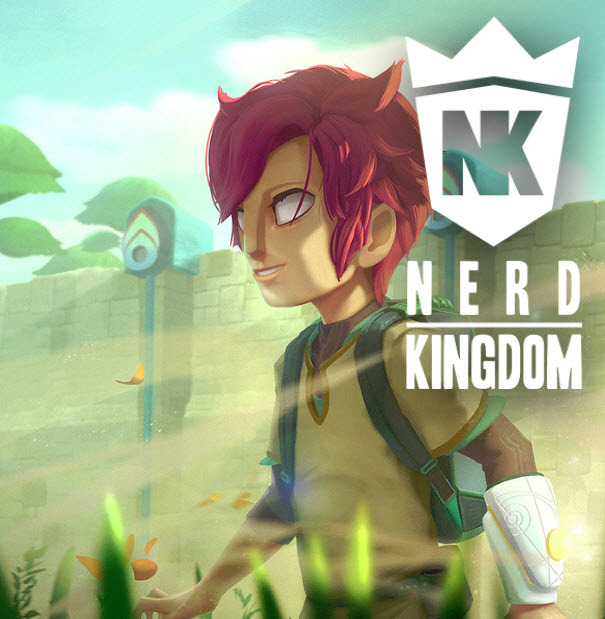 (The Untitled Game) which was partially funded by Nerd Kingdom. Abstract: Predictive algorithms applied to streaming data sources are often trained sequentially by updating the model weights after each new data point arrives. 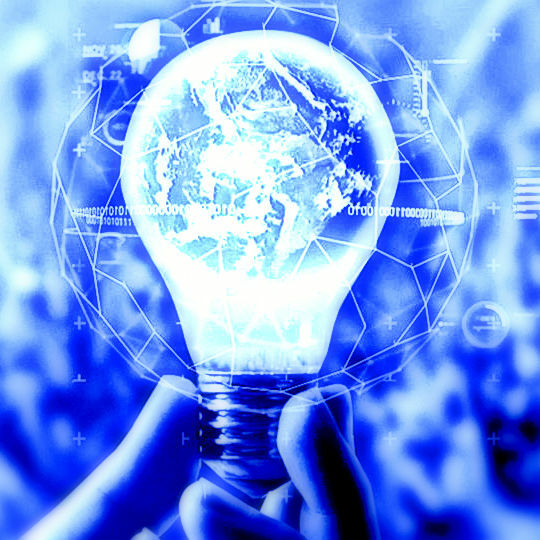 When disruptions or changes in the data generating process occur (“concept drifts”), the online learning process allows the algorithm to slowly learn the changes; however, there may be a period of time after concept drift during which the predictive algorithm underperforms. This thesis introduces a method that makes online neural network classifiers more resilient to these concept drifts by utilizing data about concept drift to update neural network parameters. Alexandra has accepted a position with MSCI, a leading provider of investment decision support tools worldwide, as a Reference Data Production Analyst. She will be using her skills in machine learning to continue developing new tools for anomaly detection. Abstract: Player engagement is a concept that is both vital to the online gaming industry and difficult to define. Typically, engagement is defined using social science methodologies such as observing, surveying, and interviewing players. With the vast amount of data being collected from video games as well as user bases increasing in size, it is worthwhile to investigate whether or not user engagement can be defined and interpolated from data alone. This study develops a methodology for defining engagement using analytic methods in order to approach the question of whether gathering (as a proxy for social interaction) in sandbox games has an effect on player engagement. Emily is following up on leads for a full-time position now, but in the meantime she has a road trip planned to the Grand Canyon, Sequoia National Park, and the Big Sur in California. She is also in discussions with KGOU and NPR about starting a new radio program! Congratulations to all three excellent students! We wish you great success!